I was not going to stay up and watch the EU Referendum results, but I did. Fascinating stuff and that was before the result was declared. The ‘Exiters’ won the vote by 51.9%. The only really thing the pollsters got right was it was a close result. Nearly three-quarters (72.2%) of the Country voted on what they thought was right box to tick. It just shows people can be motivated to vote. In Cornwall 323,442 voted from 419,755 eligible voters. A 77.07% turnout. Cornwall voted to leave. I had hoped both campaigns would be run on honest facts and reasons. However, both referendum campaigns were full of half-truths, manipulating figures and lies. No side has come out of the campaign looking particularly good. Yet two days after the results, I am surprised at the comments being made on social media with even a petition calling for the referendum to be held again. We live in a democracy. More people voted out than in this referendum. That is what happens in elections, surprise surprise the winner is the one with the most votes. Be disappointed, with the result but let’s keep it in perspective. A decision has been made; we need to get on with it together. It is that simple. It really is un-British to have this venomous back-biting and hatred. As for the petition, would the same people be calling for a re-run if remain had won? No they would not. In fact they would be crying foul and saying that it is undemocratic. A democracy is not asking you to vote and re-vote until the vote goes your way. Though you might not know, this referendum was not what you call a ‘binding’ vote (unlike the AV referendum). The Government could/can ignored it. But that’s highly unlikely, more so with the PM stepping down post the result. Maybe the disappointment should be levelled at the political elite in the EU. Both sides of the referendum campaign have said the EU needs reform. The EU would not reform. It took the attitude of we do not have to. I bet those elites wished they had now. Or had been more receptive when the PM asked for reform. Instead the EU shut the door on his face. If the EU had showed it was willing to reform, I doubt this referendum would have taken place. This Country, Great Britain is in unknown territory. But have faith, we will find our feet. It might be a bumpy journey, but we will get there and survive. It is not the end of the world as some are predicting. The European Elections will be soon upon us with the Polling day set for the 22nd May. This election comes around every five years and the last one coincided with the first Unitary Elections for Cornwall Council. The UK gets to elect 73 MEP’s out of a total of 751 a slight reduction of 15 MEP’s since the last election. These 751 MEP are drawn from the 28 Member States, and will represent a staggering 500 million people. Last time round, the South West elected six MEP’s. These were: Giles Chichester (Conservative), Ashley Fox (Conservative), Julie Girling (Conservative), Trevor Colman (UKIP), William, Earl of Dartmouth UKIP) and Graham Watson (Lib Dem). The turnout for the South West was 1,549,708 from an electorate of 3,998,479. A 38% turnout. Which is remarkably low considering the influence the European Parliament has. So who is standing and who are they standing for? Well you are in luck, as like all Elections in the UK, a Statement or Parties and Individual Candidates has been produced. The South West Region comprises Bristol, Cornwall, Devon, Dorset, Gloucestershire, Somerset and Wiltshire. It also includes the British Overseas Territory of Gibraltar and is one of the nine UK Regions for the European Elections. Unlike National and Local Elections, which are carried out via the ‘first past the post’ method, the Euro elections are carried out (in the UK) by the D’hondt method. If you want to know more, click on the previous link, but for those don’t want to, this method is proportional representation via a party list. So who will take the honours for the South West? The polls can all predict who might win, but that is up to those voting, and therefore why it is important to excercise your vote. For the eagle eyed only two Candidates are from Cornwall and one of them is my friend and former Cornwall Councillor colleague, Jude Robinson. Good Luck Jude, though it is a shame you are so far down the party list. It is interesting to note too, the Olympic rower James Cracknell is standing for the Cons. In fact out of the 48 Candidates, 11 of them have their registered address outside of the South West. Though to be fair, one lives in Gibraltar which is totally understandable considering Gib is part of the South West Region. Europe – Yes, No, Let’s Have a Vote! It is not often that I make comments on this blog on national, or international topics, but the latest bun-fight between the 27 member states of the European Union has compelled me to. Let’s start with a little bit of praise for Gordon Brown. If it was not for his instistence of the five economic tests being passed, Tony Blair would have had us signed up and using the Euro quicker than the coins could have been minted. Also his other great move was to make the Bank of England independent from the Government. Well done, Gordon. Then again, he did change the banking regulations to a more relaxed, self-administered process which you could argue is part of the cause to the worldwide financial mess we are now in. 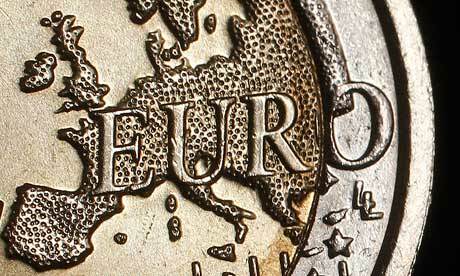 The latest summit to save the euro had 26 of the member states sign an accord. Britain decided to use its veto and say no. Was this the right move? Well who knows because the actual details to why the PM turned it down is a little blurred. Those who want to find a simplistic answer say it was to protect those greedy banker mates of his. I feel this is child like simplicity because the financial industry is not just about a bunch of slacked-jawed, pinstriped suited buffoons. It is a world trading market, which is taxed by the UK Government. So it is right the PM makes sure it is protected. However, this leads on to the bigger debate of Europe. Historically Britain has always had suspicions on the motives of ‘Johnny Foreigner’ from across the channel. The French, and in my opinion, the ungrateful General de Gaulle vetoed Britain’s membership of the EEC in ’63 and ’67. It was not until de Gaulle fell from power that Britain joined the EEC on the third attempt in 1973. As de Gaulle is quoted: “France has no friends, only interests”. Has much changed since then? Since 1973 no one in Britain outside the various governments, has had a say on Europe. We have been promised a referendum by the various political parties, but when is comes to discussing a referendum, all the parties find an excuse not to have one. Is this because the answer will be an Agincourt style two-fingers up at Europe? The again, if the country was allowed a sensible debate on Europe; how Britain fits in, the result might be different. Until such a time as there a referendum we will have to listen to the various political European squabbles from the sideline. Who knows, maybe my son’s children will finally get a say on Europe.